Are you bewildered by talk of “layering” in menswear? 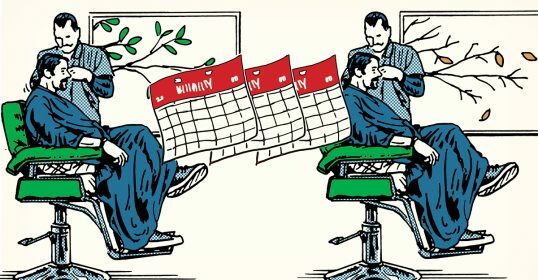 Don’t worry — most men are. The goal of this article is to help fix that. So let’s start out simple. Your average guy on the street typically has one visible layer: shirt and trousers. 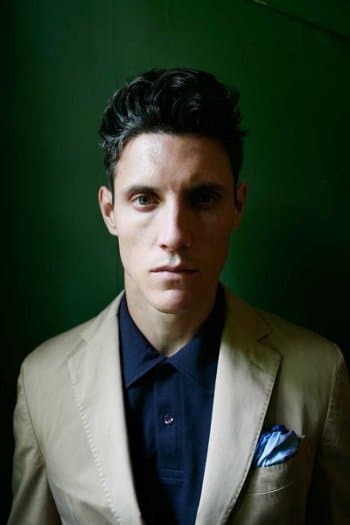 Maybe a jacket if he’s dressing up (a second layer), and perhaps a coat or a scarf if it’s cold (a third layer). Layering is nothing more than mastering the combining of your clothing so that it functions properly (protects you, allows you to move, and is comfortable) and is aesthetically pleasing to the human eye. In general, layering is a four-season look. It lends itself naturally to fall and spring — when changing temperatures make it convenient to have pieces you can take on or off throughout the day — but with the right wardrobe pieces and the right materials you can have a layered look all year round if you want. But why layer at all? What’s the point? Here are two: practicality and style. The obvious function of layering is heat-retention. Please note that layering for heat retention is not the focus of this article; however, if you want to read a classic AOM article where we cover layering for cold weather, click here. If you’re wearing multiple layers — all of them stylish — and you get hot, you can take one off and still look sharp. When you start to cool off, you slip the top layer back on and still look put together. In a sense, smart layering enables you to look great in a wide range of temperatures without heading home to change. Less obvious, but often even more important to our comfort, smart layering can help manage sweat and moisture as well. A good wicking underlayer with thicker, more absorbent layers on top moves sweat outward and keeps rain or other outside wetness from penetrating. Variety. Everyone is really tired of looking at guys in generic collared shirts and jeans or slacks. If you have anything else in the outfit, you’re already ahead of the game. Decent shoes and a good watch is already more effort than the majority of men put into their clothing; think how striking you’ll look once you start adding body pieces as well. Color. With just a shirt and pants, you’re limited in your color options — two or three at the most. Much more than that and either your shirt or your pants are way too loud. But once you introduce jackets, scarves, pocket squares, vests, sweaters, hats, and so on to the mix, you can easily have five or six colors going on in one outfit. And yes, that will mean taking a little more care to make sure the colors all work together, but it’ll also look more interesting. So let’s say we’ve convinced you to layer your clothes. How do you go about doing it? 1. Each visible layer should be something you could wear on its own. Visible layers being the key here — your undershirt can be as flimsy and low-class as you like as long as no one sees it. A simple sleeveless cotton shirt is a practical and comfortable under-layer. Nothing wrong with that. But don’t let it show. Anything that’s visible should be something you’re comfortable wearing as your only layer on that part of the body (besides your jacket/coat). If it’s not, it’s either too flimsy, too tacky, or both, and you shouldn’t have it in your outfit. 2. Your outer hems should be longer than your inner hems. The hem of your shirt shouldn’t poke out from the bottom of your sweater. Sure, you’ll see some exceptions here. Twenty-something guys seem oddly fond of untucked shirt tails poking out from under a sweater these days. But it’s not a great look, and you shouldn’t be doing it unless you’re really, really sure you want to. In particular, avoid a sports jacket or blazer that’s longer than the coat over it during cooler months. 3. One or two bright colors. Only wear one or two bright color pieces, at the most. You can have lots of colors, but there should be some familial similarities between a couple of them, and only one or two should be vivid, bright colors. If you’ve got bright green trousers, don’t wear a hot pink shirt and a lemon yellow scarf. Have one or two “poppers” and leave the rest of the outfit a little more muted. The difference in colors provides plenty of “pop” on its own without using brightness to jump out as well. 4. Scale your patterns from lightest to strongest. Examples of scaling patterns while layering. On the left, the inner layer goes from a plaid shirt (heavy pattern) to a smooth blazer (no pattern). On the right, Mr. Eastwood has a simple dress shirt (no pattern/texture) but progressively adds more texture in his outer layers. You can go in either direction with this one, but try to make the relative strength of your patterns a steady grade. That is, if your overcoat is a big herringbone tweed with lots of mottled color (heavy pattern), wear a more restrained sports jacket and a solid-color shirt so that you have less and less pattern toward your core. 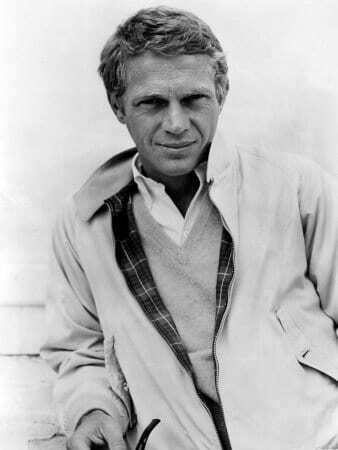 Alternatively, if you’ve got a plaid shirt on, wear a sweater or jacket with a little visible texture and then a solid, smooth overcoat on top. Either way, the change is gentle and graduated rather than an abrupt, jarring back-and-forth. 5. Know the practical function of each layer. Inner layers lie against the skin and can be completely hidden. They don’t have to be fashionable at all unless you’re deliberately exposing them. Their main function is to be lightweight, breathable, and to wick moisture away from your skin. Undershirts and underwear are the obvious examples. Shirt layers are just that — a shirt. They can be long- or short-sleeved. They usually lie against your skin for at least part of your arms (or for your whole torso if you don’t wear an undershirt). They tend to be partly hidden by layers on top of them, but visible right at the center of your torso. That means they should provide a good visual anchor (usually by contrasting with the layers above them) and be light and breathable. 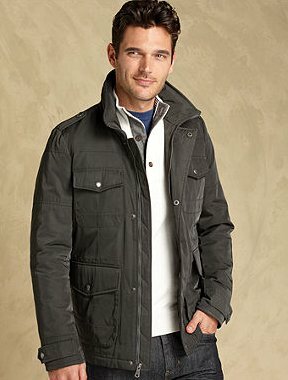 Middle layers or jacket layers are often sports jackets, but could just as easily be something like a cardigan or vest. Essentially, it’s your top layer when you’re inside and have taken your outdoors coats and accent pieces (hats, scarves, etc.) off. They should have a little warmth and absorption, and be loose-fitted enough to slip comfortably over a shirt or two. 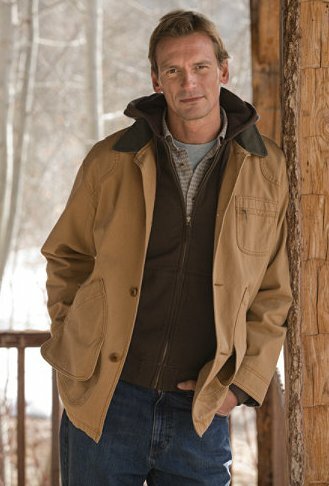 Outer layers or coat layers are your basic outdoors top layer. Peacoats, trench coats, wool overcoats, and pretty much every other type of non-blazer coat fall into this category. They should be long enough to cover all the layers beneath them, and cut loose enough to fit over a jacket or sweater. Shell layers are thin, protective garments for bad weather. You might not wear them that often, but they don’t need to be completely unstylish. A good Gore-Tex jacket in a dark earth tone is always respectable, as is a waxed cotton field jacket like the ones made by British outdoorswear manufacturer Barbour (and various imitators). If you’ve got one of each of those on — an undershirt, a base shirt, a jacket or sweater, an overcoat, and if needed a shell — you should be both protected and comfortable. The final step is adding accents that create new “layers” of their own, like the examples we provide in the next section. You can layer almost anything as long as it’s cut close to the body but loose enough to breathe on the inner layers and for outer layers, big enough in the openings to slip over the inner layers. 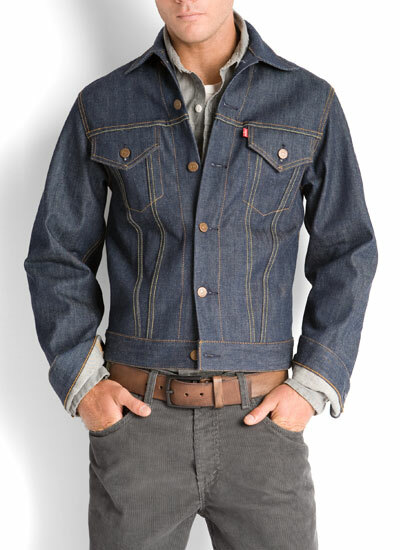 That said, there are a few styles that lend themselves very explicitly to layering. Here are a few you may want to stock up on. Undershirts are pretty much the top dog here, and it’s worth your while to invest in a quality undershirt that fits well with no hot spots. Insulated shirts are long-sleeved, high-tech versions of undershirts designed for prolonged outdoor (and especially cold weather) activity. They’re awesome if you’re out doing that stuff and overkill if you’re not. Long-sleeve T-shirts in thin materials (you can get them at any generic clothing store like Gap or Old Navy) aren’t very sturdy, but can make a good colored alternative if you want your under-layer to show. Underwear is your own business. Maybe have a pair of long underwear for cold weather. However, if it’s a visible layer, you’re either Superman or sagging, and either way you’re doing it wrong. Dress shirts are the easy choice. Simple, straightforward, button-fronted with a turn-down collar — the staple of menswear. Nothing wrong with them. Wear ’em under jackets, sweaters, whatever. Some color or pattern helps them pop, but you can use a plain solid to anchor an outfit that’s visually busy in other pieces. Henleys (seen in the above photo) are a great layering option. If the T-shirt were a high-schooler, the henley is his older brother with a place of his own in the city. They’re thin, light, usually plain-colored, and have a couple buttons right up at the neck, but no turndown collar. You can get them in both long- and short-sleeve versions. Too good to pass up. Polo shirts get worn a lot as the outer layer in summertime, but they work under lightweight jackets or weatherproof shells as well. They are especally good for looking sporty. Their long-sleeved cousin, the rugby shirt, does well under sweaters and blazers. T-shirts under jackets or sweaters defined the rebel look of the 1950s. Now it’s a retro nod, and still a classic. Don’t rely on it as your everyday wardrobe, but don’t be afraid to show a plain T-shirt under a sports jacket or short coat. 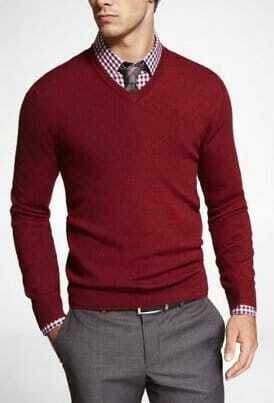 A simple, thin v-neck sweater makes for a nice middle layer. Throw on a sport coat in colder months for an unbeatedly put-together and handsome getup. Sports jackets and blazers are, again, a staple of menswear here. Find inexpensive but high quality ones in thrift stores and have them adjusted if you’re on a budget — it’s not out of style; it’s “vintage.” Don’t forget a pocket square any time you’re wearing a blazer-style jacket. 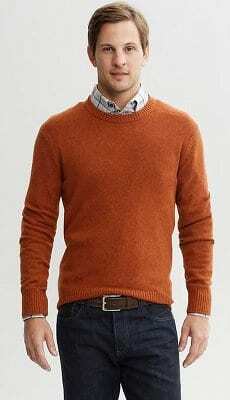 Sweaters come in two great layering options: thin cotton sweaters (or sweater-vests) that can be worn under a jacket, or thick wool sweaters, and especially cardigans, that work as the outer (non-coat) layer. Own a few of each. You won’t regret it. Vests in both the sweater and waistcoat variety are a classic way to add another layer and liven up an outfit. Again, thrift stores can be a big boon here — just make sure any waistcoats are long enough to actually “coat” your “waist.” They should hide your belt-line completely; otherwise they’re too short. Belts are about the only visible layering you’ll ever need on your lower body. Don’t underestimate the power of a wide or brightly-colored belt to make a statement on its own. It also makes a handy dividing line if you’ve got aggressive colors or patterns going on in both your trousers and one of your upper layers. Scarves are the ultimate functional and versatile neck layer. Draped big and blousey they’re almost as much of a presence as a shirt; wrapped nice and trim, they’re scarcely more noticeable than a necktie. We cover seven ways to tie a scarf here. Coats are coats. They’re great while you’re outdoors and should be hung in a closet while you’re not. Put some thought into them, and when you find a style you like buy the best you can afford. It’s always worth having at least one long overcoat that you can reliably wear over blazers and sports jackets without their hems showing. Other accents that add some more business and visual variety to a layered outfit include everything from hats and gloves to boutonnieres and jewelry. Don’t go too heavy on these if you already have a few visible layers and a lot of competing colors or patterns, but do use them to spice up a fairly monochromatic outfit. Want more information on layering that’s a little more fashion forward? Check out Barron at the Effortless Gent or Dan at The Style Blogger. Want more Men’s Style Advice? Then grab my free 47-page eBook.